Mahalo to everyone who participated in Race Around the Island (RATI), including (but not limited to): padders from around the northwest, hula dancers and opening ceremony from Ke Kukui Foundation, chase boat captains and crews, race officials, raffle prize diners, spectators, park rangers (who understood that those bottles were full of root beer)… What a fantastic day! We are looking forward to next years race! CROCC is looking forward to hosting clubs from PNWORCA at RATI on June 1, 2013 at Chinook Landgin Marine Park in Fairview Oregon. There will be 8-10 mile Long course and a 4-6 mile Short course that is open to all divisions. A free continental breakfast with coffee and water will be offered to all who attend, and selling a BBQ lunch as a fundraiser. An opening ceremony will be provided by Ke Kukui Foundation. We would like to thank Kendal Sparks for providing a great design for our event shirts. Once again he has outdone himself! Mahalo Kendal!! 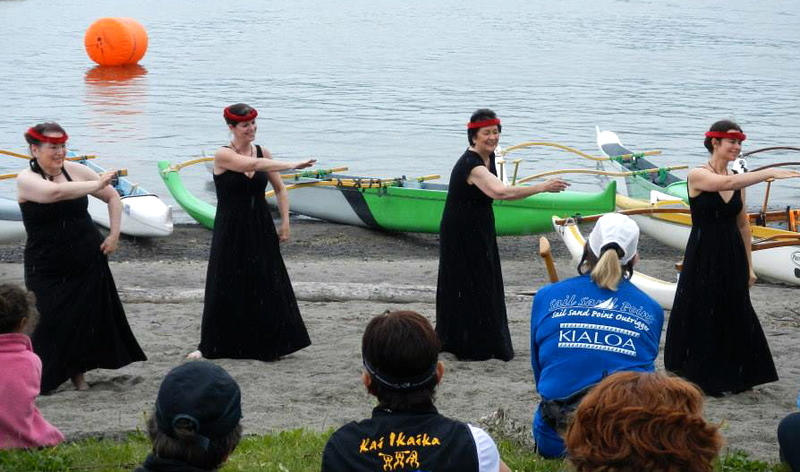 Mahalo to our hosts Hui Wa’a o Waikinikona for a great day of sprint racing out on Green Lake. A honor ceremony for Uncle Larry Awana, the first Po’o Wa’a (leader) of the Wakinikona Hawaiian Canoe Club was held at the event that included all clubs. The day was beautiful and no wind to speak of like years past. Congratulations to all of the clubs and paddlers that had a great time out there competing in all of the different event. Mahalo to Pacific Outrigger Canoe Club for a wonderful day out at Frenchmen’s bar. It was a great location for the race and proved to be challenging. The weather was good with high clouds, warm weather, and no rain. 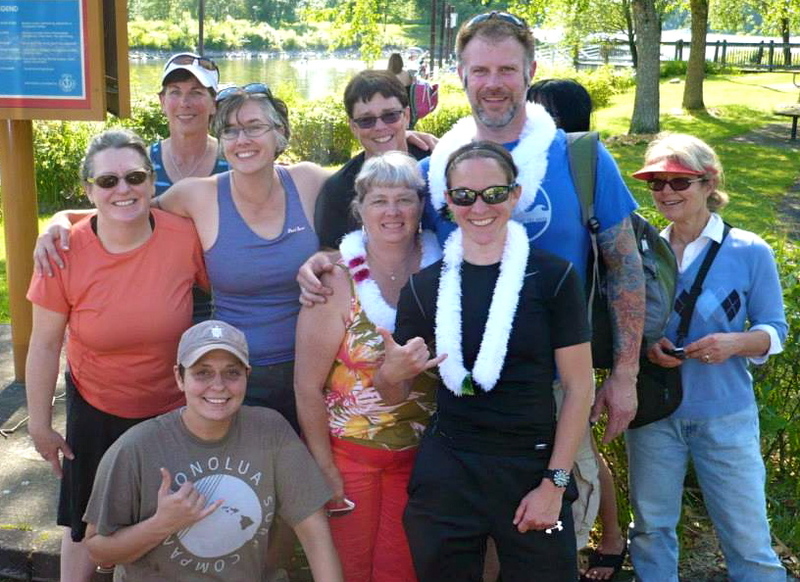 Rusty Iron is always a great time to reconnect with our larger paddling Ohana from PNWORCA. 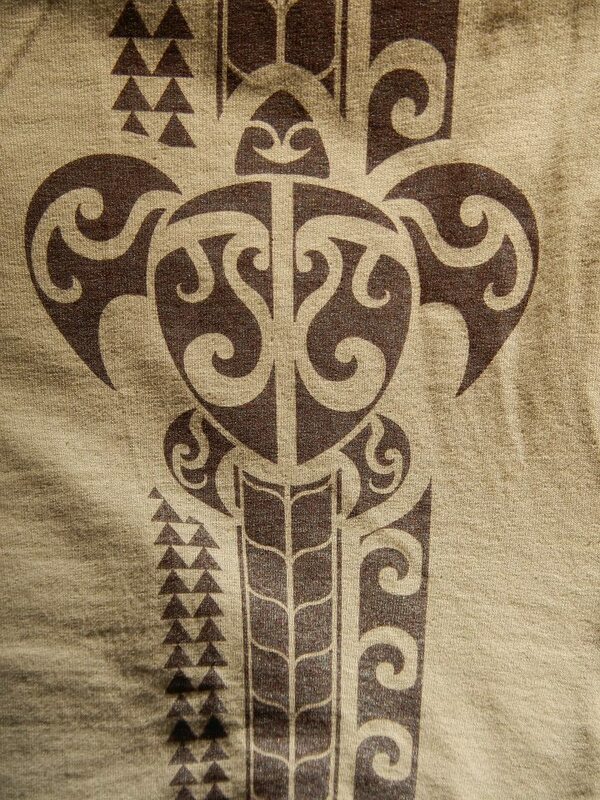 On April 27, 2013 CROCC will competing in the Rusty Iron Distance Race hosted by Pacific Outrigger Canoe Club (POCC). Two crews will be entering a kane (men) crew and wahine (women) crew into the 8 mile long course. 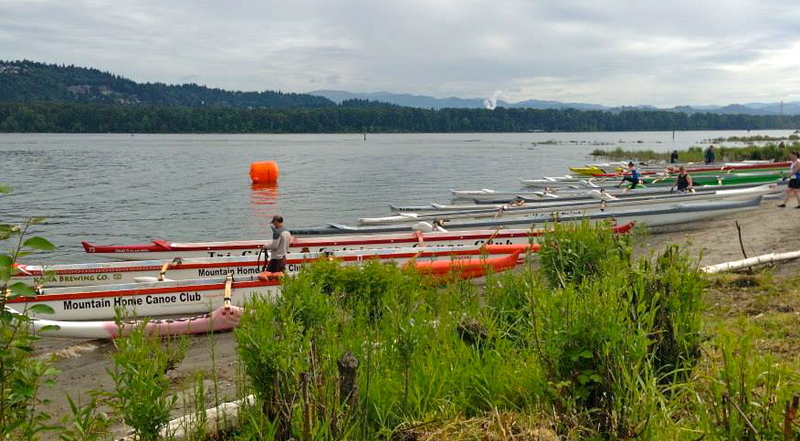 Come on out to Frenchman’s Bar park in Vancouver, WA and cheer the crews on.